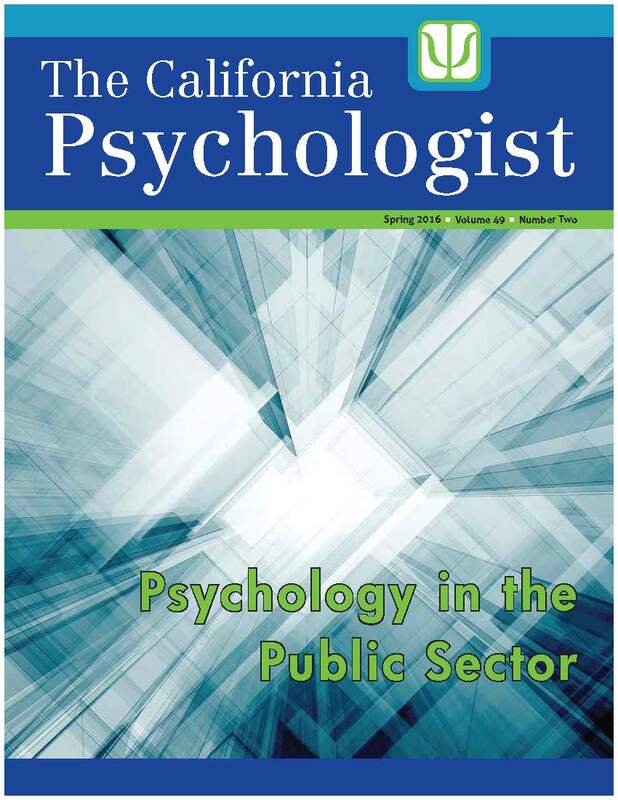 The California Psychologist contains the latest news of importance to psychologists, addressing practice concerns and new developments in the field of psychology as well as a classified section offering career opportunities and office space availability. For career opportunities listings, also see our on-line Career Center. 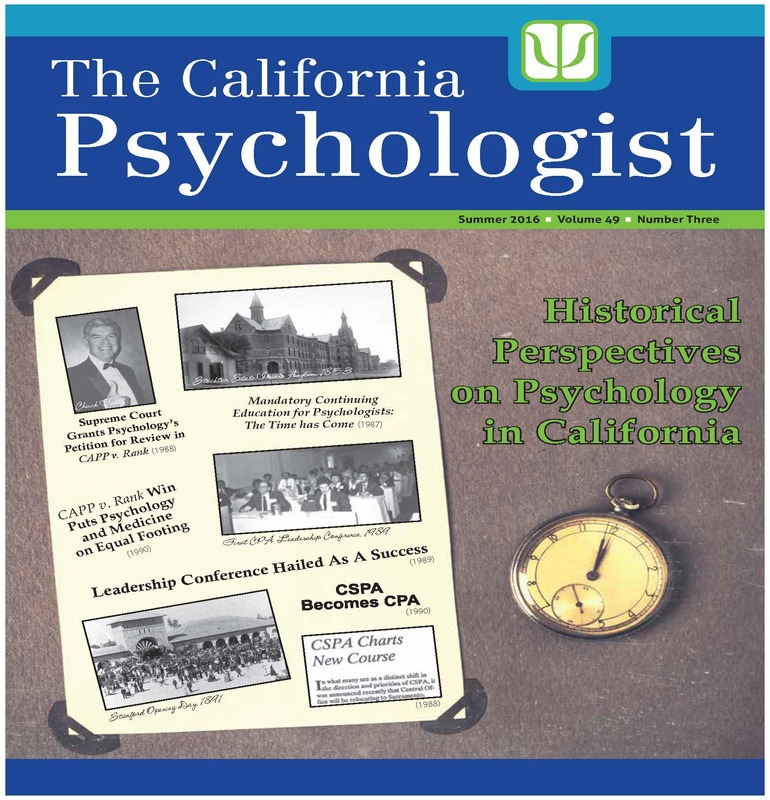 The California Psychologist also offers comprehensive professional information with its editorial content. 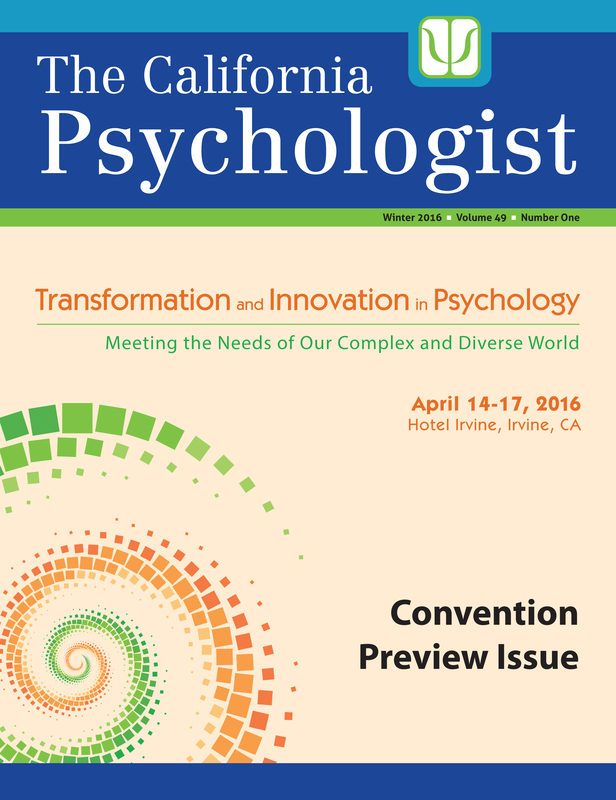 The California Psychologist invites submissions from members of the California Psychological Association. Please review our Submission Guidelines. The California Psychologist also offers advertisers an excellent opportunity to bring information about your product or service to a large number of psychologists. Please review our advertising rate sheet. Looking Forward: Innovations and Opportunities for Practice. The practice of psychology is constantly evolving, with therapeutic techniques that range from well-established practices to those that integrate these practices with new technology that is increasingly influencing our society. This issue of the CP will highlight some of the work of some of the keynote speakers and master lecturers at the 2018 CPA Convention. Articles will include information about the psychological development of the Iphone Generation, the use of Virtual Reality techniques for treating anxiety, developments in Telemental Health, and Digital Addictions. Psychology and Disaster Recovery. This issue will address the role of psychologists in understanding and mitigating the effects of a variety of natural and man-made disasters. The human toll of these recent events on victims, families, friends and communities are profound and often long-lasting. This issue highlights experts in the field of disaster psychology who share their expertise and advice. Psychology and Politics. This past presidential election has resulted in a tumultuous period in America politics. Many clients, students and colleagues report various levels of distress in relationship to the current political climate and the psychological tensions surrounding issues such as immigration, healthcare, LGBT rights, and international relations. This issue will address how psychology might play a role in informing the social and geo-political issues of our time. The Future of Psychology: 50 Years From Now. This issue will address the future of psychology in the next 100 years. Contributors will speculate on some of the changes we might experience in our profession in the next 10, 25, 50 and 100 years. We hope this issue will stimulate our thinking about the future of psychology. Elizabeth Winkelman, JD, PhD and David Leatherberry, Esq. Full access to past issues of The CP is limited to current CPA members. The Table of Contents and a selected feature article are available to the public. For reprint permission or media access to other articles, please send an e-mail to editor@cpapsych.org.